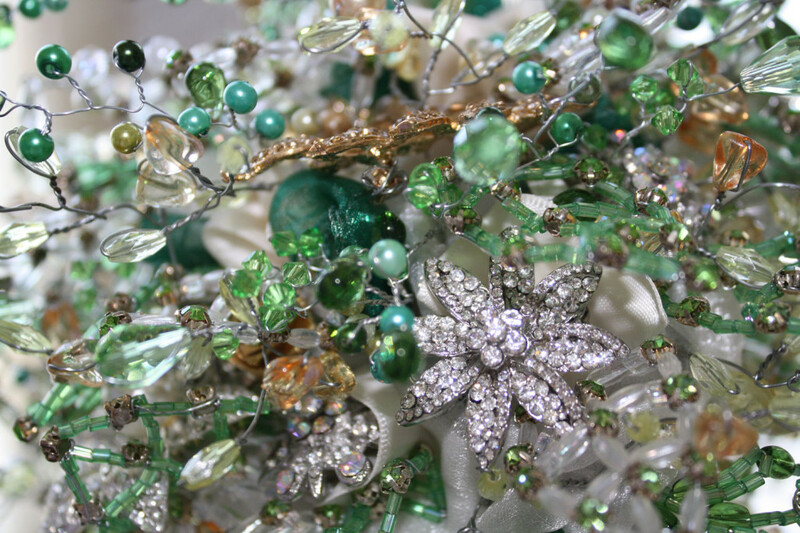 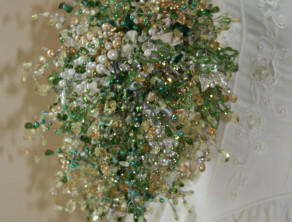 This exquisite bouquet is created using beautiful crystal, pearl and diamante bridal brooches. 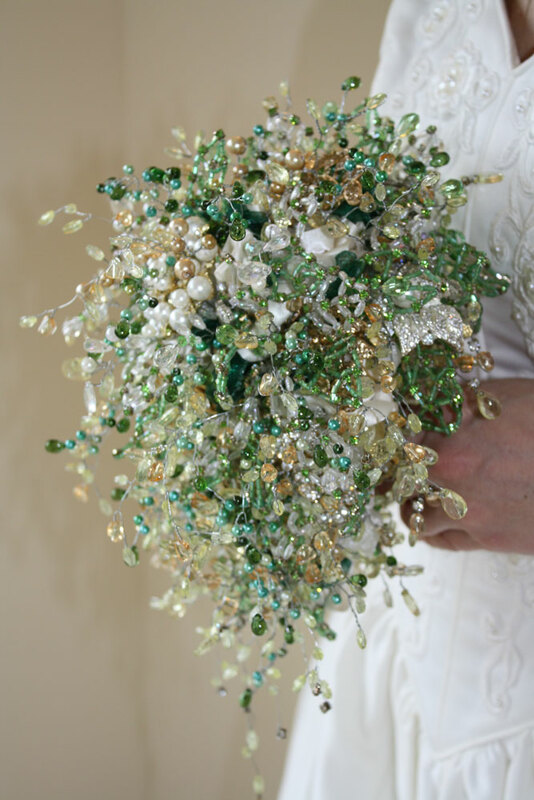 The shape of this bouquet has a slight curve blending down into a teardrop effect. 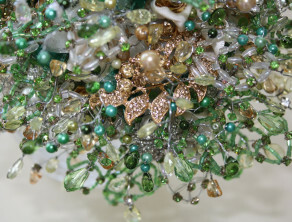 We wanted to create a bouquet that had leaves and foliage, similar to the look of a traditional wedding bouquet but with sumptuous brooches in different styles and colours. 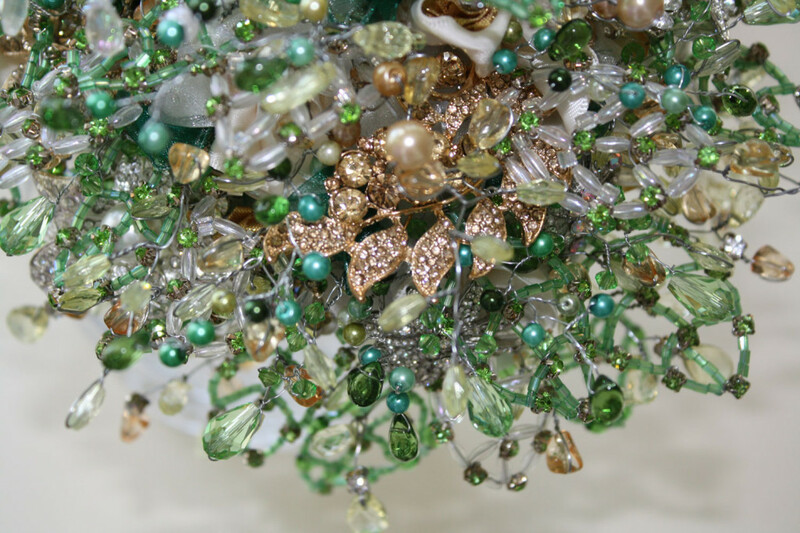 Each leaf and all the foliage is lovingly hand wired incorporating nearly 600 high quality diamante crystals in total into the leaf design alone. 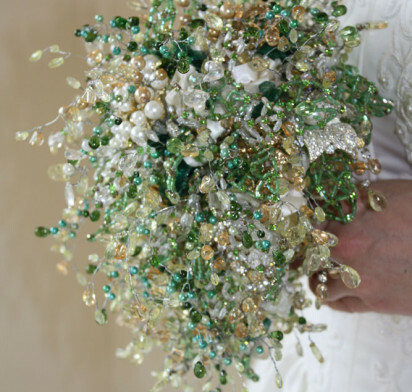 The bouquet is also packed with glass beads and pearls, wonderful satin and wired organza ribbon, faceted beads and Swarovski crystals. 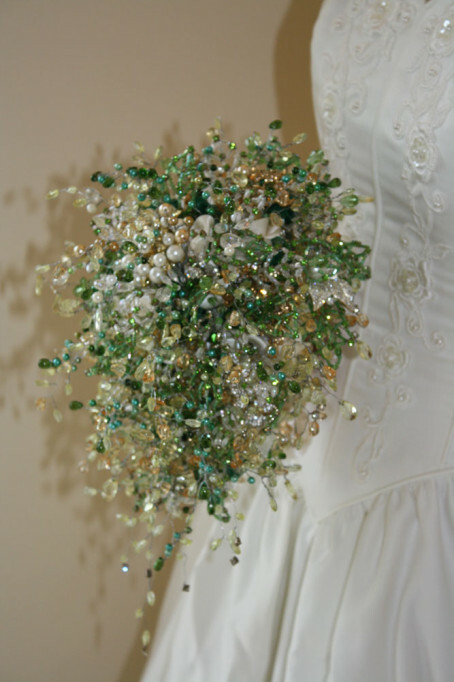 Our sparkling leaf brooch bouquets are available in varying sizes, coloured brooches and prices start from £450 including P&P. 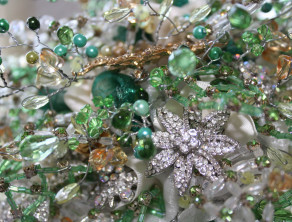 A sparkling leaf brooch bouquet of the same size pictured here (26cm x 38cm) using similar materials and pieces would cost £550 including P&P.